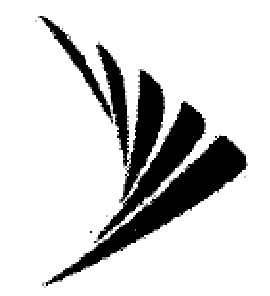 Indianapolis, Indiana – In a 42-page complaint for damages and injunctive relief, trademark attorneys for Sprint Solutions, Inc. of Reston, Virginia; Sprint Communications Company L.P. and Boost Worldwide, Inc., the latter two of Overland Park, Kansas (collectively, “Sprint”), sued in the Southern District of Indiana alleging that Reginald Aldridge and Arrice Aldridge, both of Park Forest, Illinois, and Damion Transou of Humboldt, Tennessee infringed certain Sprint trademarks. These trademarks include the following Sprint marks: Registration Nos. 1,104,943, 1,573,863, 1,712,259, 1,839,302, 2,833,134, 2,836,616, and 3,046,207. They have been registered with the U.S. Trademark Office. Sprint sells wireless handsets (“Phones”) under the brands Sprint, Boost Mobile, Virgin Mobile, payLo and Assurance Wireless for use on Sprint’s wireless network at prices significantly below the wholesale prices of the Phones so that they will be more widely accessible to consumers. Sprint states that it subsidizes the cost of the new Phones for the benefit of its “legitimate” customers. Sprint asserts that it spent more than $6.6 billion on handset subsidies in 2012. Defendants, along with their alleged co-conspirators are accused of perpetrating an unlawful scheme of bulk handset theft and trafficking to profit from the illegal acquisition and resale of new Phones for their own profit and to the detriment of Sprint. As part of this purportedly fraudulent scheme, Sprint Phones are purchased and resold multiple times. During that process, the Phones are “unlocked” so that they may be used with any service provider, including non-Sprint providers. Sprint contends that, ultimately, these Phones end up in the hands of someone other than the Sprint customer whom Sprint intended to benefit. Sprint contends that the Phones often are sold overseas, where it does not provide service. As a result, Sprint states, Defendants are profiting from this scheme by appropriating the subsidies that Sprint provides to its customers. Defendants are also accused of unlawfully accessing Sprint’s protected computer systems and wireless network, trafficking in Sprint’s protected and confidential computer passwords, and/or stealing legitimate customer upgrades. It is asserted that Defendants fraudulently placed at least 65 orders on more than 17 corporate accounts to which they had no legal right of access for the purpose of ordering more than 288 items valued at over $100,000. Finally, Sprint contends that Defendants’ behavior violates the Terms and Conditions to which the sales of Phones are subject as well as willfully infringes Sprint’s trademark rights. Defendants Arrice Aldridge and Damion Transou were indicted, in part for the activities described in the complaint. Plaintiffs ask the court for damages, including exemplary damages; attorneys’ fees and costs; a permanent injunction prohibiting the practices described in the complaint; and the delivery to Plaintiffs of the Defendants’ inventory of accused Phones. Practice Tip: Cases of cellular phone trafficking such as these, and there are more than a few of them, are an unusual combination of contract law, trademark law and criminal law. In at least one case similar to this one, 16 defendants were also convicted of terrorism charges when it was found that the proceeds from their phone trafficking and other illegal conduct was being funneled to the terrorist organization Hezbollah. The case was filed by John D. Waller and Matthew Braxton Millis of Wooden & McLaughlin LLP, and James B. Baldinger, Stacey K. Sutton and Gail E. Podolsky of Carlton Fields Jorden Burt, P.A. The case was assigned to District Judge Tanya Walton Pratt and Magistrate Judge Debra McVicker Lynch and assigned Case No. 1:14-cv-00128-TWP-DML.